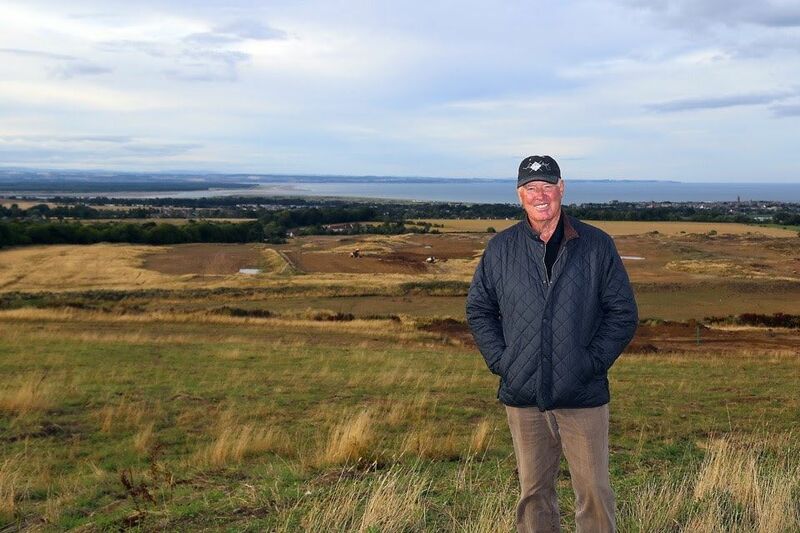 ST. ANDREWS, Fife, Scotland (Aug. 21, 2018) – Embracing the natural balance and flow of the coastal landscape overlooking Scotland’s eastern shore and sculpted by 1973 Open Champion and internationally acclaimed golf course designer Tom Weiskopf, the course at The Feddinch Club is the first to be built in St. Andrews since 2008. The course has already been routed and following Weiskopf’s recent inspection, various design changes will be made and the first stages of drainage installed. Weiskopf, whose expertise as a golf course designer has resulted in 65 golf courses – seven ranked among the Top 100 in the world – has fully applied his experience, creativity, commitment to detail, and philosophy to this golf course. To enhance enjoyment and reduce the time taken per round, distances between greens and succeeding tees are generally short, the fairways are wide and fast running, and each expansive green will present interesting challenges that will require a fair test of skill. The Feddinch Club is the only private, member-owned, family-oriented club at St. Andrews with its own course. It lies just outside the town boundary to the south, enjoying an enviable location with views extending over the town of St. Andrews and across the sea to Carnoustie. At par 72, the course will play to a full length of 7,373 yards from the back tees, 6,600 yards from the middle distance, and 5,484 yards from the forward markers. Unusual features include a large double green for the 9th and 18th holes immediately in front of the clubhouse and a short 19th hole that allows unsettled competitions to be determined without returning to the first tee, and also decides who is to pay for the first round of beverages! Complementing the golf course is a comprehensive, professional-quality practice facility that features a 400-yard driving range with a variety of targets and a dedicated short game area with a set of bunkers relevant to the course design. Additionally, an extensive and meticulously prepared practice putting green will reflect authentic on-course conditions. The facilities are exclusively for the enjoyment of The Feddinch Club members and their guests, who will have the pleasure of many special benefits not available at other private clubs. There will be three classes of membership. Club Membership permits unlimited and complimentary play for spouse or partner and immediate offspring under 30 years of age and may be bequeathed, transferred, or sold, subject to Club Rules. Founder Membership provides the same benefits as Club Membership, but also delivers rewards in the form of annual credits to be spent at the Club. Corporate Membership allows the appointment of up to 10 nominees, who may be changed at the calendar year’s end, and provides guaranteed accommodations during the week of the Open Championship, as well as the possibility of financial benefits. The luxurious clubhouse will combine private club and resort elements, resulting in the perfect lifestyle option for those who want to experience and enjoy all that St. Andrews offers, without the responsibilities or expense of maintaining a second residence. 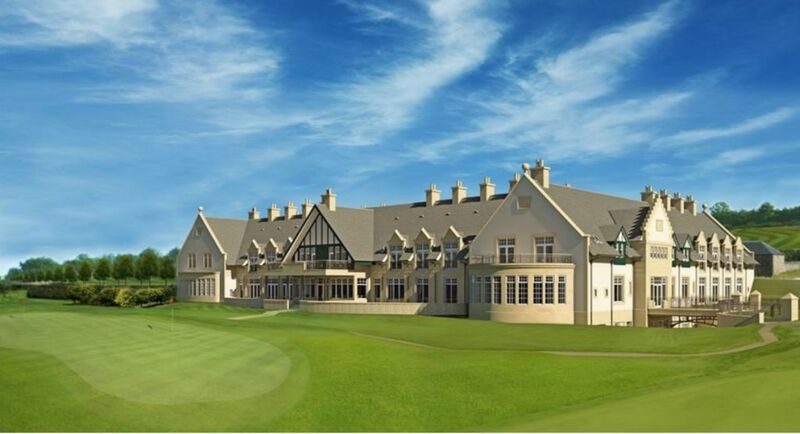 “The Club will be, for all intents and purposes, a ‘home away from home’ for its members, who may call upon the concierge team to organize play on the many famous courses within easy reach, as well as trips to places of interest,” McKay said. The clubhouse complex will comprise a mixture of 45 luxurious resort-type guest rooms of generous sizes with restaurant, bar, spa and wellness center, meeting rooms, fine dining rooms, and associated golf facilities, plus a gated entrance to maximize privacy and security. The complex is designed by G1 Architects of Glasgow—the same firm that created the clubhouses at Kingsbarns and Castle Stuart—known for its innovative and intuitive design approach and unique solutions to maximize light and space.